“The Allman Brothers will be part of a benefit concert.” Now, would that statement ordinarily cause a lot of excitement for me? Honestly, no. Not that I don’t enjoy some of their great classics: "Midnight Rider," "Rambling Man," "Whipping Post," "Melissa"… but I would never consider myself a big follower of their music. Which is fine, C’est la vie and all that. But when I learn that this concert is being put on in coordination with the American Liver Foundation, I’m all ears. I’d say, “I’m all liver”, but that’s just a bit too awkward. Tune In to Hep C Presents The Allman Brothers Band, will take place at The Beacon Theatre in New York City on July 27, the eve of World Hepatitis Day. Tickets are on sale now, and are available at LiveNation.com, Ticketmaster.com, select Ticketmaster locations and charge by phone at 800-745-3000. Tickets are also available at The Beacon Theatre box office. This week happened to mark the one-year anniversary of Gregg Allman’s liver transplant. As it happens, it’s been about one year and almost two months since my son Tom’s liver transplant. And for the most part, that’s really the only thing Tom and Allman have in common. Tom was 12 when he was diagnosed with liver disease, Allman was an adult. Tom had Primary Sclerosing Cholangitis, while the Rock and Roll Hall of Famer suffered from Hepatitis C. But they both came to realize how damn important the liver is, and have become advocates of the ALF, and the important work they do. Since I’m not a nurse or doctor, I can’t speak from a medical standpoint on liver health, but the ALF site contains lots of information, as well as other medical centers such as the Mayo Clinic and Boston’s Children’s Hospital. But I can speak from a personal level, witnessing the complications of liver disease. Itchy skin. Sounds fairly innocuous, right? Just a little dry skin, use a good moisturizer, and don’t take scalding hot showers. This was the advice my son was given, a year or two before he was diagnosed. But I speak not with recrimination, only perhaps some regret. At that time, there was no reason to investigate itchy skin and feet any further. Not even when Tom scratched his feet so badly he got a cellulitis infection and spent Memorial Day evening in our local ER. Fast forward to mid-winter of 2009. Tom had already been diagnosed and had undergone one major surgery, to correct a severe blockage in his common bile duct. He had recovered fairly well, and was back to school, his paper route, and playing basketball in 2008 and 2009. But one February morning Tom mentioned feeling a bit lightheaded. He had also complained of some mild nausea the day before, but still I wasn’t overly worried. Then he showed me his stools in the bathroom. They were black. This would have been suspicious under any circumstances, but I knew that Tom had even more at stake. The year before, during a routine endoscopy and colonoscopy, the doctors had discovered that Tom had esophageal varices. While the docs were half expecting to find some bowel trouble (Tom’s suspected diagnosis of PSC typically presents with some bowel disease as well as liver disease – and they found his bowel clear), they also noted that he did have some bulging veins in his esophagus. At that time, these varices, or varicose veins, were small enough to not be alarming. But over the last year they grew larger, resulting in a bleed. What does the esophagus have to do with the liver? In cases like Tom’s where the liver is distressed and cirrhotic, the portal vein that leads to the liver has elevated blood pressure. This portal hypertension naturally moves through the circulatory system and the pressure manifests in other sites, like the esophagus, and if the varices (bulging veins) become too big, they can bleed. This bleeding can be fatal. Luckily Tom recovered smoothly enough after an emergency endoscopic banding procedure, a brief stay in ICU, and a blood transfusion. But more complications occurred during the next few months. In May, Tom had another cellulitis infection (the itching was still present), a GI infection, and a cholangitis infection. So by early June, it wasn’t surprising that Tom’s appetite wasn’t that great. The doctors were concerned and urged Tom to eat, and to try nutrition supplements, like Carnation Instant Breakfast or Ensure. Tom hated the taste of the supplements and he could not eat very much. And he was missing an awful lot of school. Then Tom had what seemed like another GI infection, but he was so weak, and became dehydrated quickly. He was again admitted to Children’s Hospital in Boston for IV fluids and some tests. An MRI was scheduled for the next day. But as soon as the doctors saw his blood work, they immediately transferred him to ICU. So now you’re wondering, “wait, his kidneys? Isn’t this whole thing about liver disease?” And that’s what we were thinking. At this point we had been on a real rollercoaster of health problems and worries. This was the last thing that we expected. But when the liver continues to fail, so does the appetite. Because Tom ate less and less, he became clinically malnourished. And this directly impacted his kidneys. Since this was an acute injury, it healed almost as quickly as it appeared. Fluid regulation was important, and Tom was also given a nasogastric feeding tube. He was discharged 10 days later, and although tired and still quite jaundiced, he made it to his eighth grade graduation the day after discharge. A month later he was officially listed for a liver transplant. Around that same time, we decided to form a team for the Liver Life Walk that was held in Boston. This began our relationship with the American Liver Foundation. In September, we had an enthusiastic team of friends and relatives who walked the five-mile route and helped us raise over $10,000.00 to fight liver disease. About a month after the walk, Tom had his feeding tube removed because his weight had increased. He was now well into his freshman year of high school, and keeping up OK. But in April he began to feel worse. When our local ALF chapter heard that Tom was feeling sicker and getting depressed, they surprised us with four tickets to see the Red Sox and a meeting with Theo Epstein, the General Manager. It was a wonderful night, and Tom loved it – except when it was time to leave. One more nasty complication of liver disease, edema, had settled in Tom’s legs. He was in so much pain he literally could not walk out of Fenway Park. Thankfully, a Sox employee put him in a wheelchair and followed us to the parking lot. And less than two weeks later, we got the life-changing phone call that a new liver was waiting for Tom. The ALF has been, without question, a tremendous source of strength for us as a family. They matched Tom with some wonderful marathon runners, they’ve listened to us vent about the usual and some unusual frustrations, they’ve sent gifts, and cards and taken us to lunch and dinner and so much more that cannot be described here. They were one of the first called when we were on our way to Boston for the transplant. Naturally we’ve had most contact with the local office in Newton, MA. But we’ve met several people from the National board of directors, and they are truly just as caring and genuine as their regional counterparts. And Tom, now 16, has done much to give back. This last year he was a LIVE-r Champion, which meant he spoke at ALF events, either at marathon team meetings (the ALF is the oldest charity associated with the Boston Marathon), or at the pre-marathon brunch – telling his story to inspire the runners, or cheering from the sidelines, or working water stops for training runs. He even took it a step further. This May 2nd, which was his first year anniversary of his transplant, Tom arranged a large school assembly, including speakers from the New England Organ Bank, the ALF, and a local celebrity, a regional meteorologist, all to ask his fellow classmates to consider walking in next September’s Liver Life Walk. 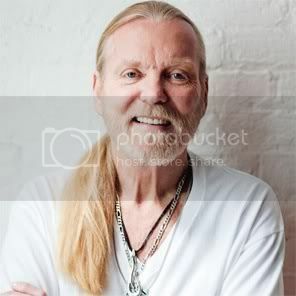 Earlier I said that Tom and Gregg Allman only had liver disease and their transplants in common. But that’s not true. They are both dedicated to helping raise awareness and funds for liver disease research and education. Proceeds from the benefit concert will be donated to community-based organizations that provide education and support services to people with chronic hepatitis C.